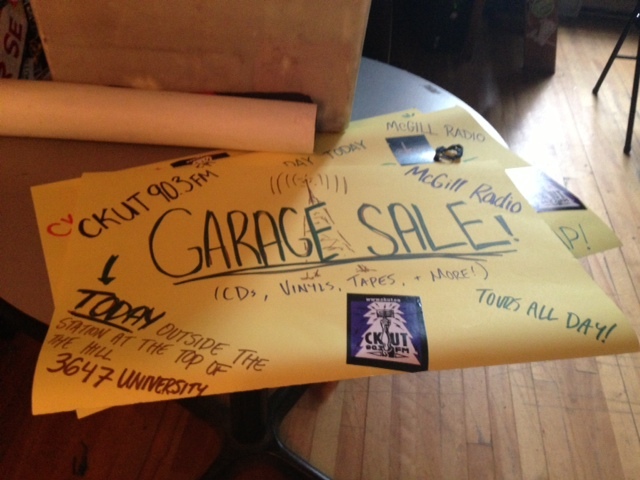 Yep, you heard it here first: CKUT will be having a garage sale and open house along with our rad upstairs neighbours QPIRG on Monday, September 16th. Swing by anytime between noon and 6pm to get a station tour, check out the studio, and stock up on cheap records. Consider it a sneak peek into the magical world of radio, sound art, and community organizing – we wanna see you there! This entry was posted in Events on September 13, 2013 by admin.